NextEra Energy, Inc. (NEE), through its subsidiaries, engages in the generation, transmission, distribution, and sale of electric energy in the United States and Canada. 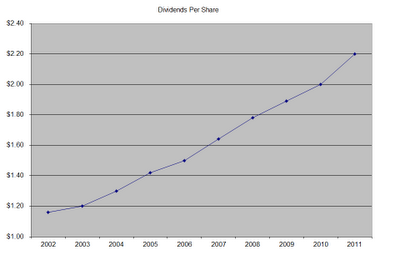 The company is a member of the dividend achievers index, and has boosted distributions for 18 years in a row. The company’s last dividend increase was in February 2012 when the Board of Directors approved a 9.10% increase to 60 cents/share. The company’s peer group includes Entergy (ETR), Northeast Utilities (NU) and PPL Corp (PPL). Over the past decade this dividend growth stock has delivered an annualized total return of 14.10% to its shareholders. 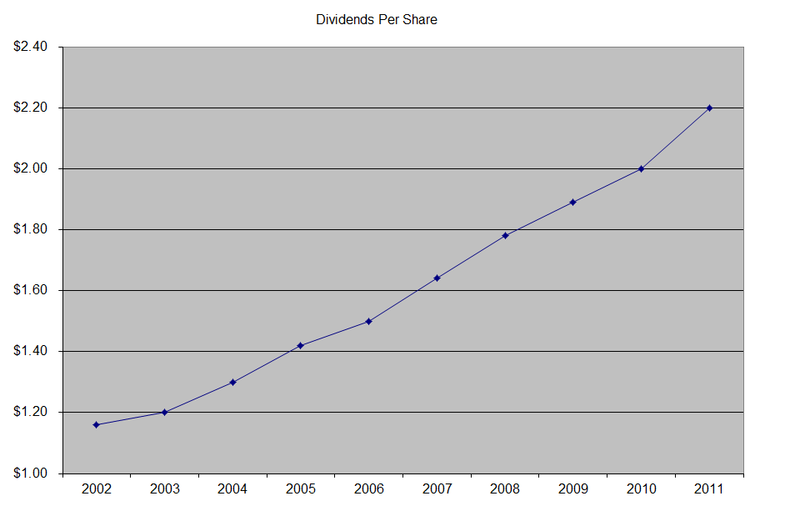 A 7% growth in distributions translates into the dividend payment doubling almost every decade years. 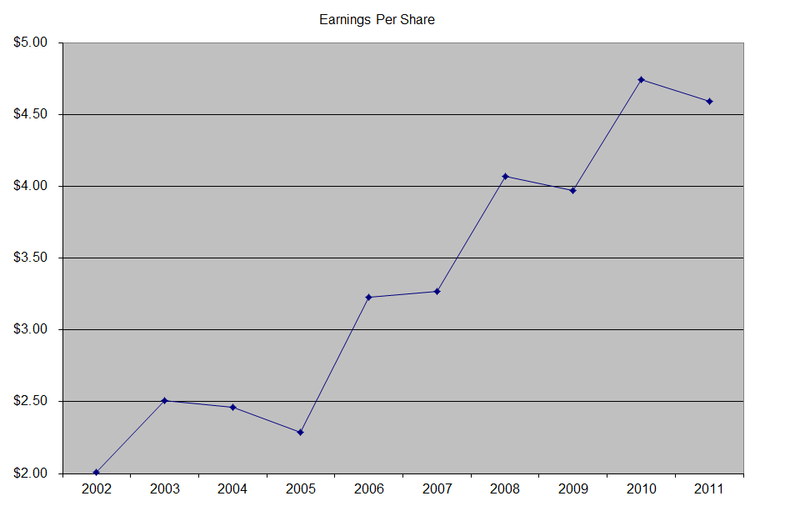 The company’s current annual distribution is double what it was nine years ago. 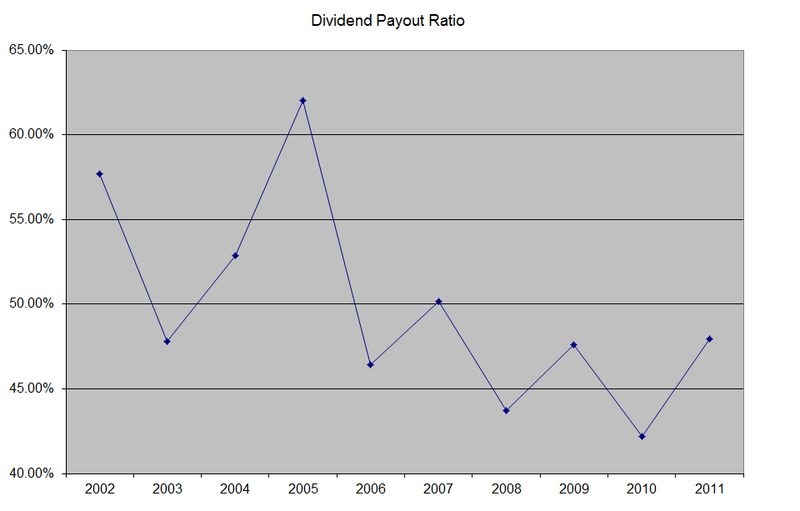 The dividend payout ratio has been decreasing over the past decade, falling from almost 58% in 2002 to 48% in 2011. 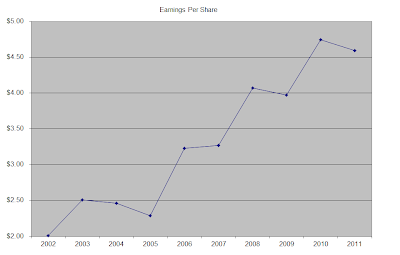 NextEra Energy has the lowest dividend payout ratios for a utility company. A lower payout is always a plus, since it leaves room for consistent dividend growth minimizing the impact of short-term fluctuations in earnings. Currently NextEra Energy is attractively valued, trading at 13.70 times earnings and yielding 3.40%. I would consider adding to my position in the stock subject to availability of funds.